OK, I got stuck with the first line. What about a shot glass? Hmm??? Moving on, there is a lot of depth in this poem, Shari. ‘Spilling water’ is quite a metaphor for so much in life. I spilled a glass of water on a shelf filled with books after an evening during which I’d said something I deeply regret. As I rarely drink, and never hard liquor, I would never had thought of a shot glass. But your suggestion is well taken – I’ll think about it and may make a change. Thanks for your input, Jacqui. Wish I’d run this by you before publishing. How was your Thanksgiving? A most powerful metaphor, Sharon, and a wonderful poem! I’m pleased you think so, Betty. Thank you. You’re one of the very few readers who commented about this poem. (I don’t get a lot of readers, either, but that’s another story.) It’s made me wonder that I didn’t connect with people. Thank you, Cathleen, for uplifting me. Water and fire are powerful elements in nature that bring both good and bad into our lives. A lovely thought, Shari! I’m not sure I would describe this poem as lovely, but I think I know what you mean. Thank you, Terri. Feathers torn from a pillow, floating on the wind – impossible to capture. I understand how you feel – it isn’t always pretty and often doesn’t lend itself to language. Love this Sharon. What a great metaphor. well, that went out the window with chivalry, politeness, and romance. I have never done this before, but I read this post and thought of you. No need to read or get back to me. Just letting you know I remembered you. Modern society has certainly changed, and though I welcome some changes, I agree a lack of courtesy makes for so much self centered selfishness that benefits no one. But this particular poem is really about myself, how I said something I deeply regret because of a propensity to blurt before I think. Those words are out there, still stinging folks I love whom I shouldn’t have and never meant to hurt. I read the article on Shelley’s blog, thank you for directing me to it. (One of my favorite aspects of blogging is getting introduced to other bloggers.) She’s quite brilliant and writes an engaging blog. It’s a very enlightening post and I replied. Always a pleasure to read your thoughts, Andrew. Never ever would think you would blurt things out that may hurt or offend. Just don’t see that in you. You see a polished me. When I write, I’m cautious and thoughtful, but in the middle of certain situations, I can get testy and say the wrong, sometimes awful things – unfortunately. Hey, why are you still awake? Have insomnia and am awake way later than I should be. So what’s your excuse? Or are you up very early? Back pain. I will nap later in the day. I’m sorry to hear this, Andrew. Hope you’re feeling better soon. Take care. Thank you for the call out, Andrew! And I’m thankful you helped to cause a ripple effect to connect me with Shari here too. You both have creative talent beyond that which my simple words can describe. Thanks again – much appreciated. And Shari – your poem is so touching on many levels – PS I’m glad you reached out to say hi to me! Aw, I’m blushing here, but I’m still learning how to write. It’s an honor to welcome you here. The pleasure is mine, Shelley. Thank you. “Intaglio” from my printmaking days – leaves a permanent mark. Love the metaphor here Sharon. I particularly liked your third verse. It is easy to say sorry but so much harder to undo the hurt that it has caused. We can only strive for perfection Sharon but we can never get there and being human we are bound to say/do things we regret. Hopefully you can mend the bridges. Of course you’re right, Irene, and I do try, but it would be better if I didn’t let so many bridges smolder. Like water will always leave a stain on paper no matter how little we spilled and how much we try to repair the damage, words of anger can have the same effect, even when taken back. I think we all experience that in one way or another and only few make the effort to repair the harm done by their words. Sorry seems to be the hardest word in the world. 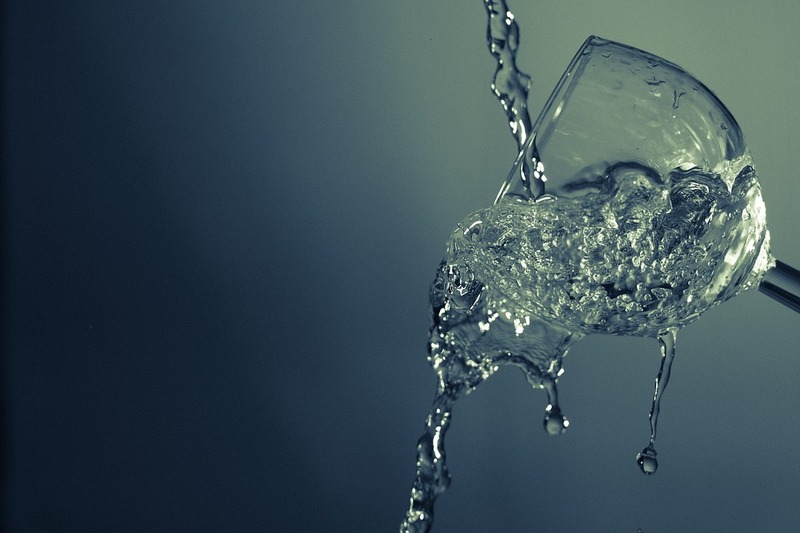 It’s indeed regretful when a clumsy move spills a glass of water all over the place. The year after I destroyed my elbow, I couldn’t control my hand/arm movements and frequently spilled my water glass – thankfully, I rarely drink anything else. Bad as it can be to damage a treasured book, an artwork, a rare antique, it’s the damage caused by my clumsy mouth that I really regret and can never fully repair. I’ve regained better control of my arm, but my mouth – needs stronger tape sometimes. Don´t be too hard on yourself, Shari, we´re all humans and thus prone to do mistakes, I think. Being able to regret is a very good start, to be strong enough to talk about it is even better. There are many things and words in my life that I wish I could take back, but as it is not possible, I try to concentrate to balance them out with new words if the opportunity arises. You’re right of course. Regret does temper what we say and do in future encounters, but it’s the unexpected that throws me.